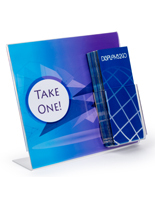 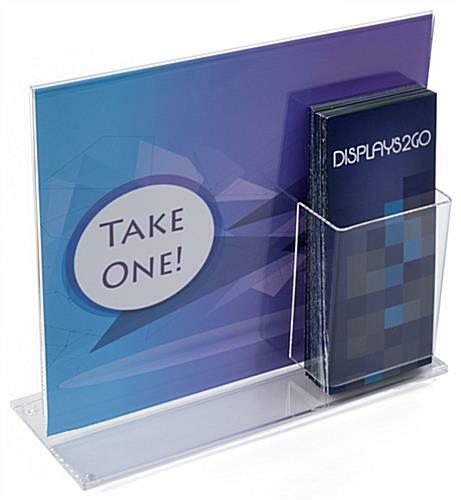 Media Size: 11" x 13"
Tabletop Layouts are Perfect for POS Presentations. 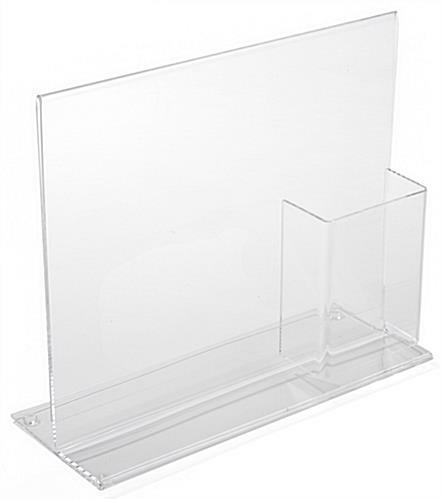 Durable Acrylic Construction Provides Lasting Style. 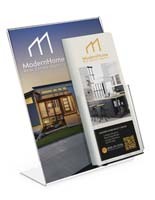 Dynamic Designs Let Users Display Pamphlets Beside or in Front of Signage. 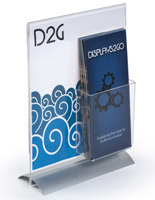 Sign Frame with Brochure Attachment- This sign stand has an acrylic literature holder pocket. 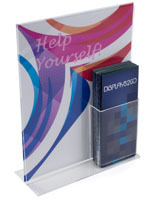 This allows for an unobstructed view of your 8.5" by 11" display graphics with attached brochure holder pocket for standard 4" wide brochures. 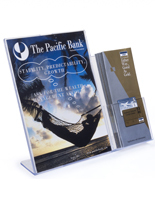 This sign frame allows you to use a printed graphic that is 13" wide by 11" high and insert a solid color on the right side behind the pocket. 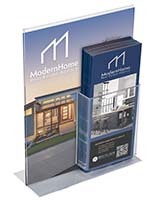 The brochure pocket is 1.75" deep by 5.5" high. 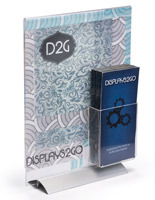 This sign frame is great as a countertop display!